The Gray - Full Mix | Instant Music Licensing - we make you sound good. 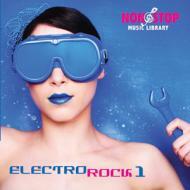 Rock - Pop - Electronic. Hard, electro-rock track with aggressive guitars, female vocals, POI 0:35, 1:34 floating pre-chorus leads to hard hitting chorus. 93 bpm. Full Mix.